Lyrical and tender, broad and expansive, Antonin Dvorák’s Cello Concerto in B minor deservedly takes its place alongside some of the best known and loved works of the Romantic period. Steeped in Bohemian folk traditions, personal tragedy and written with a devilish virtuosity, it demands an extraordinary soloist. 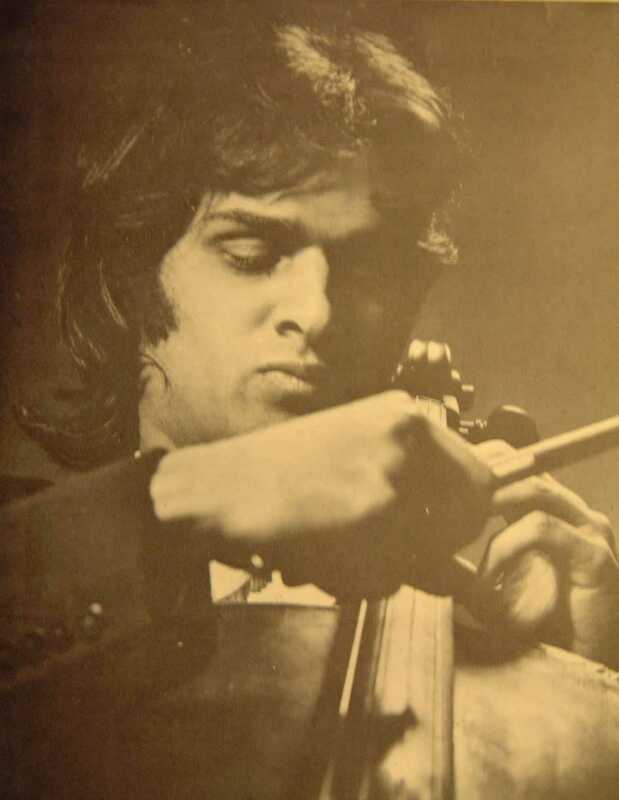 Rohan de Saram has enjoyed an outstanding career, first establishing himself as a highly talented ‘cellist and winning praise from the likes of Pablo Casals and Sir John Barbirolli. Here, he handles the most demanding sections with dismissive ease, finding the control required to allow inherent passions to develop. His tonality in the lower octaves is especially pleasing and provides a satisfying contrast with extravagant escapades up the fingerboard. Balance between the romantic orchestra and her soloist is always a tricky proposition, not least in a church setting. Early on, the ‘cello seemed to struggle against an eager orchestra. Indeed, it took until nearly the end of the 1st movement before balance was achieved. In the 2nd, the woodwind came into their own, not only blending as a section but delivering a glorious platform for de Saram to pull at heartstrings. As the texture grew richer in the 3rd, the orchestra matured further. Any frailties exposed in quieter moments were forgotten and conductor Samuel Draper was allowed the freedom to mastermind a sublime conclusion. Whilst Draper and the Oberon, led by Alice Ruffle, grew in confidence, there was never any denying the ‘cello her moment. If the Romantic Concerto was designed to showcase the soloist’s talent, then this was a roaring success. Beethoven’s ‘Pastoral’ Symphony No.6 in F Major might seem a curious inclusion next to the Concerto; its only tenuous link perhaps being the pastoral element apparent in much of Dvo?ák’s Bohemian work. This is a work which has always challenged musicologists, desperate to uphold the majesty of its composer, but struggling to rank such a representational composition alongside contemporary masterpieces. But for all the confusion it inspires, it remains an undeniably interesting work to perform and listen to. Such a characteristic symphony allows a conductor to explore orchestral possibility and Draper uses the woodwind to particularly powerful effect. From drawn out harmony to momentary birdsong, the woodwind was utilised magnificently and rose to every challenge, drawing generous, even rapturous applause. It was a shame then that the strings lacked the precision and bite necessary to elevate the first movement from predictable representation to superlative artistry. Just as in the Concerto, the Oberon is at its best in its most capacious passages, where harmonious blend takes precedence over individual accuracy. You can find the Oberon Orchestra here and Rohan de Saram here.